I never intended to become the mayor of Cabot Cove. My wife, Susan, and I were contented residents of this lovely town, me with a successful small printing business, and Susan as the go-to travel agent for anyone with vacation plans. But as the town grew, and discovered the problems that accompany growth, town leaders felt that City Hall needed a new mayor with a business background. Former Mayor Sam Booth had campaigned on the theme that he would “do nothing” to change Cabot Cove. “Do Nothing Sam” was a fine gentleman, but his problem was that he resisted change even when it was swirling around before his eyes. I, on the other hand, promised to do my best to meet the challenges of population growth without losing what has made Cabot Cove the ideal small town that it’s always been. Even though Sam and I gave the voters a clear choice, I wasn’t sure I could steal the election away from such a popular candidate, and was pretty surprised when I did. Sam retired from the field gracefully, and I presented him with a symbolic “key to the city” as thanks from its grateful citizenry. The key to Cabot Cove’s success, I know, are the people who make the town what it is, good, honest men and women who take pride in where they live and care about one another. We have a terrific sheriff in Mort Metzger, a former NYC cop, who keeps our crime rate low. We have fine physicians including Seth Hazlitt who’s delivered half the babies in Cabot Cove and who practices what he terms “chicken soup medicine,” common sense remedies for which his patients are thankful. We have some good restaurants and food shops (and more to come next year). Perhaps you’ve heard of Peppino’s for a fine Italian meal, Sassi’s Bakery whose ovens turn out the region’s best cinnamon buns, Mara’s Luncheonette on the dock where the food is not only superb, the gossip is just as tasty and filling. Loretta’s Beauty Shop is thriving as is Charles Department Store. And, of course, we have Jessica Fletcher. As many devoted readers know, Jessica is the author of a series of best selling murder mysteries. Her fans circle the globe, and she has played a role in the solving of a number of real life murders, sometimes in concert with Sheriff Metzger (and occasionally to his chagrin), and sometimes on her own when traveling to promote her books. 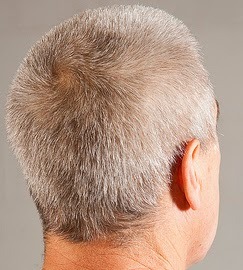 Mayor Shevlin is camera shy. Having someone like Jessica as a neighbor is a cause for pride and celebration, although her natural modesty causes her to downplay her success and fame. Naturally, when Jessica must travel she consults with my wife, Susan, who sometimes tells me that she’s almost reluctant to book a trip for our resident celebrity because, if the past is any indication Mrs. Fletcher will end up smack dab in the midst of a murder investigation wherever she goes. 2014 marks 25 years of “Murder, She Wrote” in print. There are 41 books in the “Murder, She Wrote” series with two more in the hopper. The books, original mysteries that have never been televised, are by Jessica Fletcher, a fictional character, and Donald Bain, a real-life one. 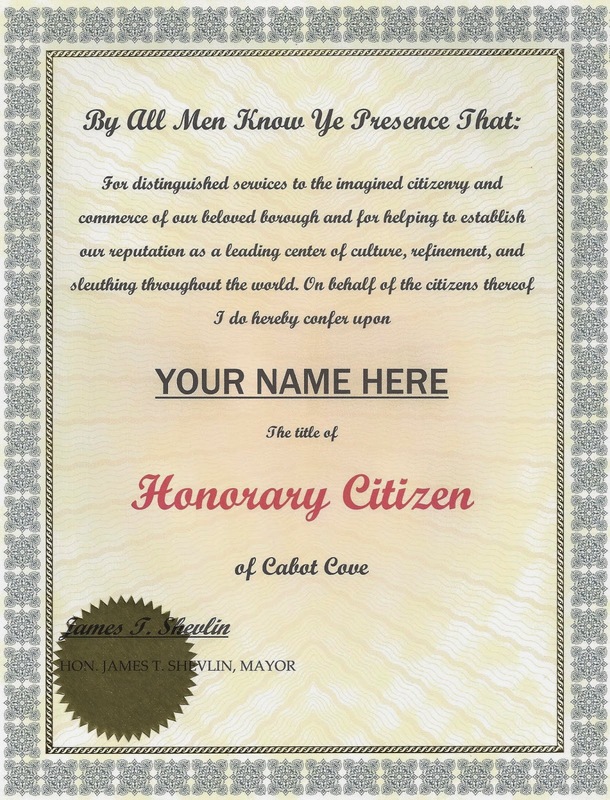 Leave a comment below and Mayor James T. Shevlin will put your name into a drawing to receive a certificate, suitable for framing, naming you (or whomever you like) as an Honorary Citizen of Cabot Cove. If by chance your name isn't selected, you'll have another opportunity for this and other goodies, during the months of June and July, when Killer Characters is having a "Cozy Reads of Summer Giveaway!" Leave a comment on the day's blog and you could win a book, some swag, and more! Winners will be selected each day! Good luck! Honorary Citizen of Cabot Cove - that's almost as good as solving a crime with Jessica. Loved the show and love that time with Jessica can continue through this series. Thanks so much, Grandma Cootie! Good luck in the drawing. I loved this show and never missed an episode. Then we hope you'll try the books as well. Thanks for stopping by. Cabot Cove is certainly a special town. Good luck in the drawing, Debbie. Thanks, April. We'll be offering the citizenship certificate again on the 29th of June and the 29th of July. So please check back with us again. Good luck! My Mom and sister were bug fans of the show and my sister reads all the books. It would be so fun to win this for her! Well then, think positive thoughts, Lisa. And thanks for visiting here. I love Murder She Wrote series! Growing up I wanted to be Jessica Fletcher (without the trail of dead bodies, of course!) I own every TV episode on DVD and have most of the books on my shelf. Just finished "Malice Domestic" and enjoy it very much! 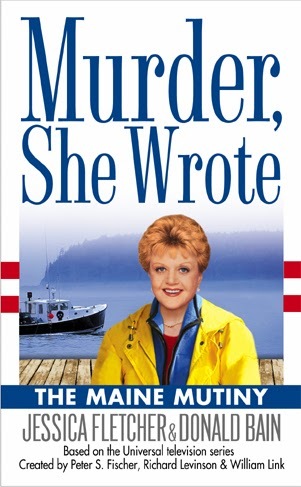 I was so inspired that I became a mystery writer myself (did I mention I wanted to be Jessica Fletcher?) and I am now the author of the Hattie Davish Mystery series, a cozy I often say is Murder She Wrote meets Downton Abbey. Being an honorary citizen of Cabot Cove with be delightful! Thanks for the chance! You're more than welcome, Anna. Jessica Fletcher is a great role model for all of us. She's brave, honest, and trustworthy. Wait a minute. Now she sounds like a boy scout.But she is all those wonderful qualities. She's a nice lady to work with. Good luck in the drawing. Love love love Cabot Cove. I so want to live there. Jessica Fletcher is my best friend. I read and reread all the books. Please keep them coming. Isn't it a great town?! So glad you enjoy the books Melisa. Thanks for stopping by today and good luck. I just finished watching every episode on Netflix. The ones taking place in Cabot Cove are the best. Since there are no more TV episodes, I am happy to keep Jessica alive in the books. The shows are so much fun. The original creators did a great job and made a brilliant choice with Angela Lansbury, don't you think? We should say Dame Angela Lansbury now that she has been honored by the Queen. We're happy to keep Jessica going in the books, too. I only watched the series occasionally but it was enjoyable. I loved this show!!!! This is awesome. Well, we have two ends of the spectrum in Sandy and Tammy. What's remarkable to us is that MSW is still on in syndication getting a whole new audience for both the show and the books. Thanks for leaving your comments. We can't take credit for the show, Traveler, only the books. But we understand everyone's devotion to the program. They don't make 'em like that anymore, do they Petite? Good luck to you both. I am 45 and my 87 year old mother lives with me. She is FANATICAL about Jessica...every evening 8pm have to watch. And thats not to mention all the Murder She Wrote books she has read! We always said ma looks like Jessica :) Darker hair, but same class <3 She would be tickled pink to be an honorary member! How nice of you to be so considerate of your grandmother, Thomas. 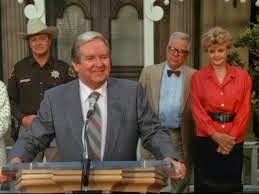 You'll have two other opportunities to enter the drawing to become an Honorary Citizen when "Murder, She Wrote" posts its next two blogs on June 29th and July 29th. Good luck! Maine is so close to me, I feel I belong already. We're only a hop and a skip away ourselves. Best show ever! Love the books as well. Thanks, Missie. That's what we love to hear. Cabot Cove is what a small town ought to be like; everybody knowing most everything about anyone. But when the trouble comes calling, everyone offers help of one kind or another. Love to have a plate of blueberry pancakes. I have always wanted to live in Cabot Cove. I own 90% of the books and the entire series plus the movies. This is my all time favorite show. Thanks for the chance to enter would love to win. Blueberry pancakes and lobstah! That's what Cabot Covers love to eat. Thanks for stopping by Edmund and Kelly. We'll be drawing the winner's name tonight. Can I still be a honorary citizen of Cabot Cove without a Maine Accent? Hmmm. We'll have to think about that. Just kidding! Good luck! I love Murder, She Wrote! I watch it everyday. I just discovered the book series and they are a great addition to my book collection. I love Murder, She Wrote. I always watched Murder She Wrote with my grandmother, and I still feel her with me when I get to watch it now. The books I only recently discovered, and I wish I had been able to share those with Gramma as well! Wonderful writing, clever plots, and characters I wish were real people. Keep up the great work! Thanks so much for the kind comments, D.M. We're working on number 43 as we speak. Love this series, and would have my little buddy, Cabot McLaughlin as honorary citizen. Yes, he was named about the series (his Mom and Dads favorite show, and he was born in Maine!). Great name! Your buddy is lucky to have such a considerate friend. Always happy to accommodate you, Matt. Best of luck in the drawing. I'm already a Mainer, but I'd love to have honorary citizenship in Cabot Cove as well as my own hometown!